Meera Krishnan was born on 18th February 1987 to Krishnan in Kottayam, Kerala. She completed her secondary education at Gwalior Rayons High School, Mavoor. She has a bachelor’s degree from BCM College. 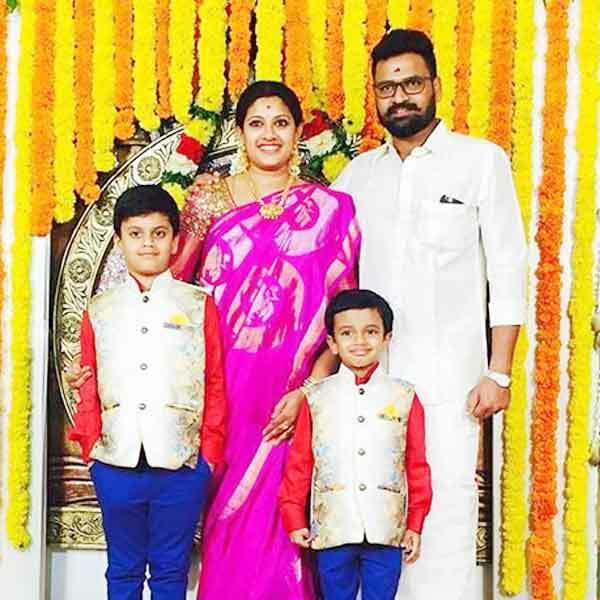 Meera Krishnan married to Choreographer Siva and the couple have two sons Dhanvanth and Nakshith. She is a also classical dancer. Meera Krishna is an Indian actress, who is working in Malayalam film and television industry. Meera made her acting debut in the Malayalam film “Margam” along with Nedumudi Venu, directed and produced by Rajiv Vijay Raghavan. She also acted with well-known actors like Lalu Alex, Suresh Krishna and Dhilip Rayan. She has appeared in some well-known television serials such as Sthreehridayam, Devi Mahatmyam and Moonumani. Her performances in many films were lauded especially in “Prema Rajyam” which was one of the Best films of the year 2009. 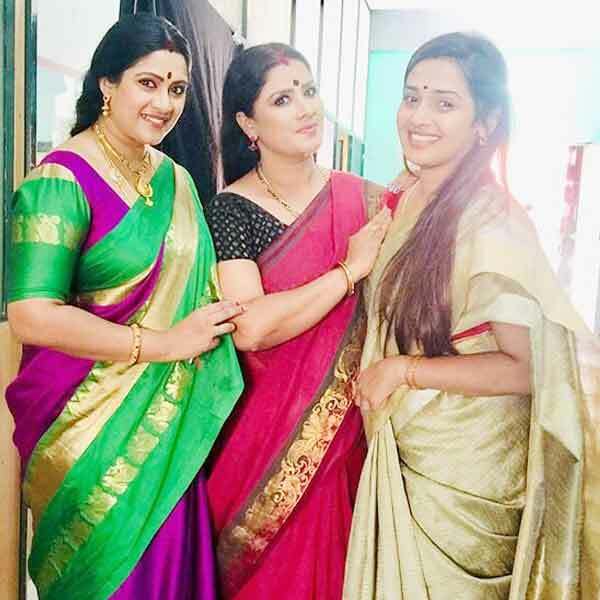 She worked with some of the top names of that time like Meera in “Manjupoloru Penkutti” along with Amrita Prakash, Bhanupriya and Sanusha. 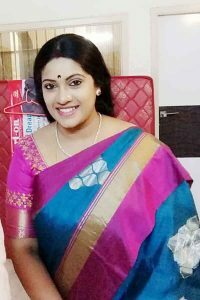 Meera Krishna currently doing the supporting role in Nayaki serial along with Suresh Krishnamurthi in Sun TV and Vanthal Sridevi serial along with Nandan Loganathan in Colors Tamil. 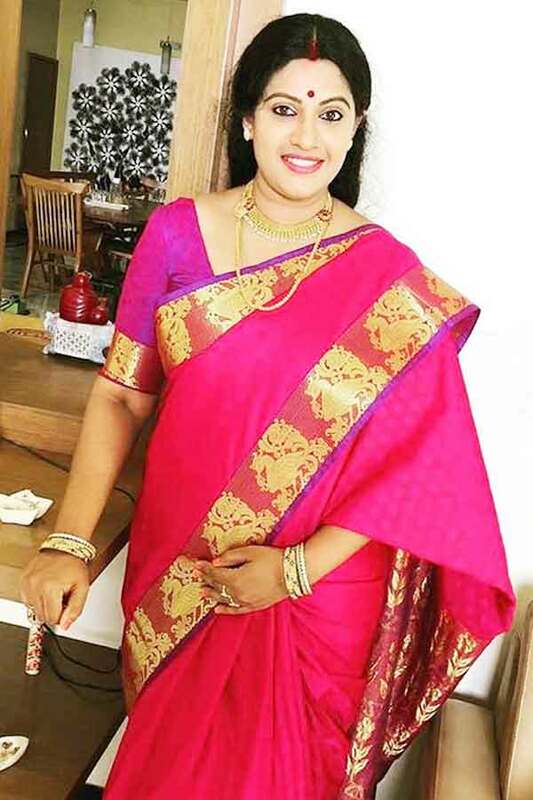 Meera Krishnan as Vasanthi role in Nayaki serial. Meera Krishnan as Janaki role in Vanthal Sridevi serial. 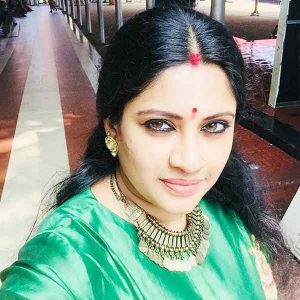 Here completing Actress Meera Krishnan Wiki (Wikipedia), Age, Caste, Biography, Height, Weight, Birthday, Profile, Family, Serials, Movies, Photos. Share your comments below for further updates or corrections. Check out above to know about more celebrities, movies and TV shows.